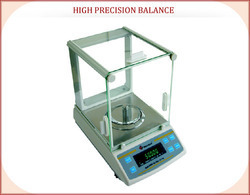 Prominent & Leading Exporter from New Delhi, we offer electronic precision balance, precision digital scale and precision measuring instruments. Keeping in mind the precise demands of our esteemed clients, we are actively engaged in offering Electronic Precision Balance. These balances have built in under hook for below weighing. Offered balances are manufactured by using premium quality components and cutting edge technology in adherence with the set norms of industry. 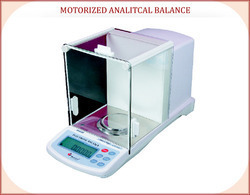 In addition, we offer these balances on number of specifications in accordance with the customer’s demand. We are a very much prestigious maker and supplier of the world class Precision Digital Scale which have been tried for its top of the line execution. Our Precision Digital Scale are intended to pander to the different needs of our customers and are intended to convey to the most extreme. We guarantee that this item shows toughness and the general heartiness guarantees an enduring quality. The item has been generally refreshing for the basic truth that it gives solid results. We offer this item at driving mechanical costs which are exceedingly reasonable in nature. 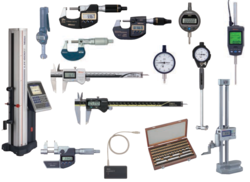 We make and supply a humongous scope of Precision Measuring Instruments to serve diverse commercial ventures with the estimations of distinctive elements. These accuracy measuring instruments are to a great degree mainstream among our regarded customers because of their remarkable elements. Looking for Precision Balance ?